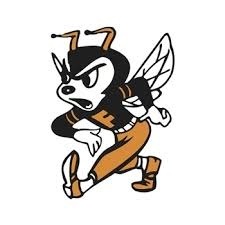 The Fredonia Yellow-Jackets will play their last game of the season this Friday on the road against Tri-Valley rival Neodesha Bluestreaks. Yellow-Jackets suffered a tough loss last Friday to the Bulldogs of Douglass High School 42 to 21. That loss put Fredonia at 4 and 2 on the year and right in the middle of the Tri- Valley District. Neodesha comes into Friday winless on the year, though coach Svaty really stressed not to overlook this team. They have been banged up from injury all year long, and will return some key players to their offense. Svaty also knows that Neodesha does not want to finish without a win this season and there's no better way to finish the season than beating your rival. Coach Svaty has his guys prepped for a shootout, as their game plan doesn’t change much offensively. Running the wishbone formation better than most as they look to run straight at them and wear out the line. Defensively they look to focus on Mayson Ellis and force the Bluestreaks to generate yards elsewhere. You can tune into this game this Friday as it will be our final regular season High School Game of the Week on Greatest Hits 104.1 FM KGGF. Sam Speck will be on the call from Neodesha High School, pregame starts at 6:45 with a 7 PM kickoff for the Fredonia Yellow-Jackets VS. Neodesha Bluestreaks.